French artist Hubert Duprat has enlisted insects to construct jewelry from gold flakes, pearls and gems. 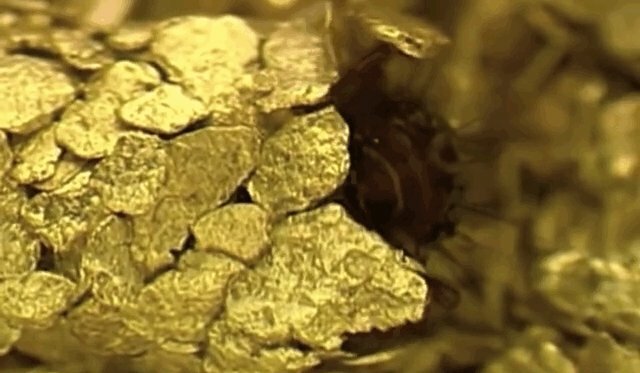 Up close, the larvae of caddis flies might look a bit alarming -- but tucked inside a precious metal shell, the aquatic bugs give baubles a special little sparkle. Though unusual, Duprat's artistic process doesn't harm the insects -- he simply takes advantage of the insects' natural impulses. 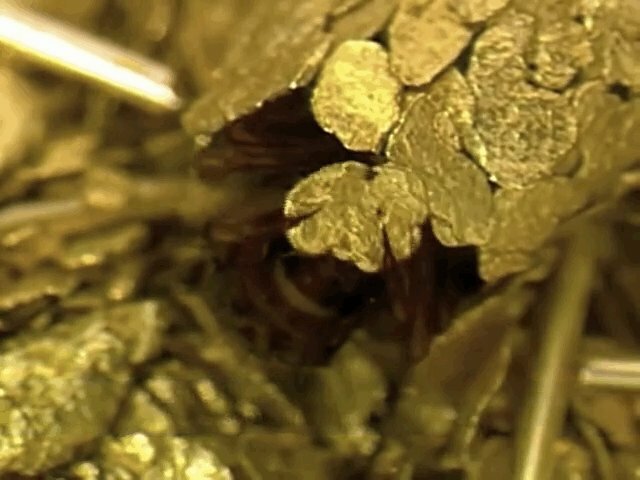 As larvae, caddisflies build protective casings out of rocks and sticks, creating artificial carapaces akin to the snail shells inhabited by hermit crabs. "The work is a collaborative effort between me and the caddis larvae," the artist says. 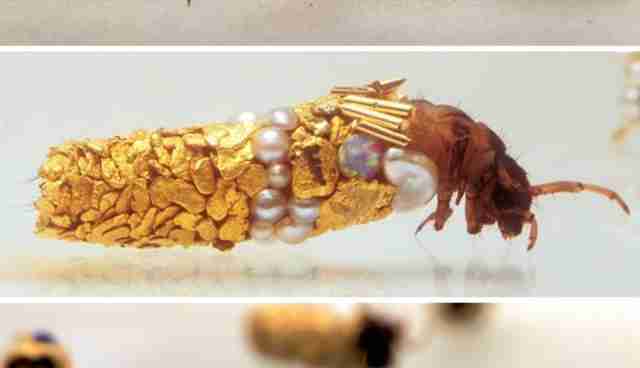 Duprat supplies the bugs with bling, and the caddisflies take care of the rest. The larva uses its spit like glue, binding the bits of metal together. And once a caddisfly develops into an adult after a few weeks, it no longer needs the added protection -- gilded or otherwise -- leaving the case behind for Duprat to display. Currently, the caddisfly cases are on exhibit in Tasmania. But if you're in the market for a more traditional piece of animal-inspired jewelry -- one that helps animals, to boot -- designer Pamela Love has you covered. A portion of the proceeds from her cat-and-birds-shaped pendants benefit Brooklyn rescue center BARC.